The manhole cover in question was a 4ft-wide round metal plate, and was covering the top of an underground nuclear test chamber in Los Alamos, New Mexico, where the US government had recently started conducting nuclear tests underground to reduce the chance of fallout. They placed a 1-kiloton device at the bottom of the 500ft-deep cylindrical chamber, and detonated it, with a high-speed camera trained on the round metal plate covering the hole. When the device detonated, it basically turned the chamber into an enormous gun, which blasted the cover from the hole so quickly that the high-speed camera (reported to have a shutter speed of 160 frames/second ) only caught it on film for one frame. The scientist in charge, Dr Robert Brownlee, recorded that, from the speed of the camera and the distance visible in the photo, he calculated the speed of the plate to be “six times the escape velocity of the Earth”, which would put it in the region of 66 km/s, or 150,000 mph. Thermodynamic calculations performed on this website would appear to support this, as with a few assumptions they calculated a launch velocity of 56 km/s, or 125,000 mph, approximately five times the Earth’s escape velocity. And then, of course,,there is Diana Quick, an actress over whom I used to drool quite a lot in her younger days. Figuratively, of course, as i never knowingly met her. Who's that walking down the street? Happy smile, now ain't that sweet. Do we have an interesting or obscure fact for Mistress Quickly? 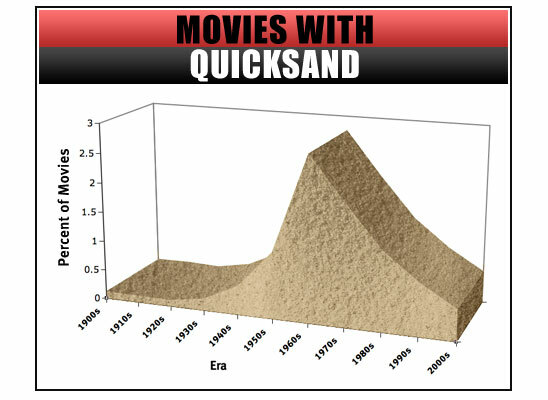 Perhaps give the original use of quick to "the quick and the dead" saying that many people may use? Was that rule brought in because the marm pronunciation often morphs into mum and a curtsey and foreign visitors sometimes were under the impression that those actually working for Her Madge called her Mum or Mother as in Mother of the country? Was she known as Kissme? Q: What invention did Alexander Graham Bell call "the most significant invention in years"? A: It was the hydrofoil, after he read about them in an American newspaper article. Bell was so impressed by the hydrofoil that he helped co-design several, including the Hydrodome IV (or HD4) – the fastest boat in the world and the first vessel to travel over 70mph on water. According to the book The World Water Speed Record: The Fast and the Forgotten, Bell experimented with a few of his own hydrofoils, and then in the 1910s he joined forces with Italian and fellow inventor Enrico Forlanini, who in 1906 had already developed a hydrofoil that could go over 45mph. 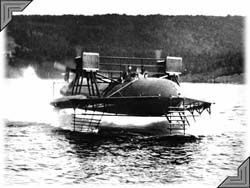 Together they set out to design a much faster hydrofoil that they could sell to the navies of Canada and the US for use in the First World War. They weren't initially successful – their first design, the Hydrodome I, successfully reached 50mph but then immediately broke in half. The sequels, Hydrodome II and III, similarly failed. By this point the US Navy, who were intrigued by Bell's designs, withdrew their interest in his prototypes, saying that they weren't much faster than 'conventional' crafts. After Bell's sister Mabel gave them more money to invest, they designed Hydrodome IV, which used two 400hp engines. Finally, in Nova Scotia, under the observation of the British and US Navies, Bell and Forlanini's craft successfully broke the water-speed record and reached 70.86mph. Unfortunately, neither Navy invested in the project, as by this point it was September 1919 and the First World War was over. Instead their record-breaking craft lay abandoned on the shores of Nova Scotia, never to be used again. Q: What record was broken by the fastest kettle in the world? 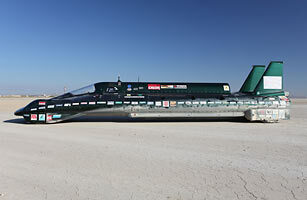 A: The land-speed record for a steam-powered vehicle. Any of these is better than kettles achieve here in the USA, where our wimpy 125v causes them to take two or three minutes at least. Hmm - I may be wrong - but voltage has no effect on how long it takes a kettle to boil surely? It's the current that matters. It’s both. P=VI, where P is power, V is voltage and I is current. Additionally the current will increase for the same resistance if the voltage increases, but American kettles have a different resistance to everyone else in the entire world’s kettles because of their lower voltage. We have discussed this before, with numbers if I recall. Talking of quicksand, Bear Grylls has a great video of how to escape from quicksand in the Sahara. He claims that as opposed to attempting to pull your legs up underneath you (as the pressure will be too great), you need to manoeuvre your legs horizontally behind you and aim to get them out that way. Who knows if this is advice for everyone or just someone as extraordinarily skilled as Bear! The Nat Geo, on the other hand, gave the advice of screaming for help. The reaction involves an iodine compound that reacts with starch, hydrogen peroxide and sodium thiosulphate to produce a starch-iodide complex, which gives the dark colour. The reaction is almost instantaneous, but the colour change is delayed because the complex produced reacts with the thiosulphate as soon as its made - until the thiosulphate runs out, at which point the abrupt colour change occurs. Another one of the fastest chemical reactions known to science happens within our own DNA. It's a reaction that the DNA undergoes when exposed to ultraviolet light, to protect itself and prevent damage to the genes, and it happens in a few quadrillionths of a second. It was observed for the first time in 2015 using a process called 'femtosecond spectroscopy', where one femtosecond = 0.000000000000001 seconds (aka one quadrillionth of a second).